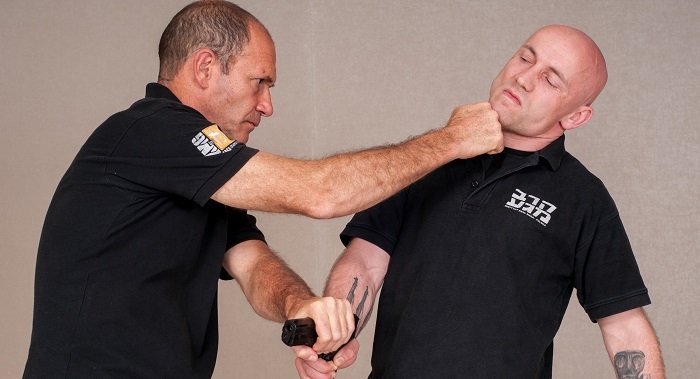 There are technical and tactical principles when it comes to defending yourself, or others, as well as principles that are directed to our way of life in combat. Perhaps the first and most important principles is that you must strive to win so that the enemy/aggressor/criminal will not be able to continue. Secondly, you need to aim in order to avoid, prevent or de-escalate the situation you are facing, especially in self-defense. Do not forget, if you need to act, act decisively and correctly according to the danger presented. In KMG we have principles of attacks and principles of defenses which are in many ways connected. While you at certain situations only need to defend, it is also necessary to plan for an be ready to use the principles of attack. Understanding the hierarchy: tool; technique; principles; variations; simulations and role-play. The importance and effect of recoil. Strive for contact or disengage. Look for common objects that may assist in the KMG actions. Evacuate yourself and others and check for injuries. Inform and assist the authorities. Respect your fellow trainee, your seniors and instructors. Cultivate faith (in the way), trust (your instructor) and believe (in yourself). Avoid injuries, but also learn how to overcome them. Comply with your natural reflexes, they are the foundations of KMG techniques. Strike at any suitable vulnerable and use any appropriate body part or common tool. Do not comply with any sport or competition rules.